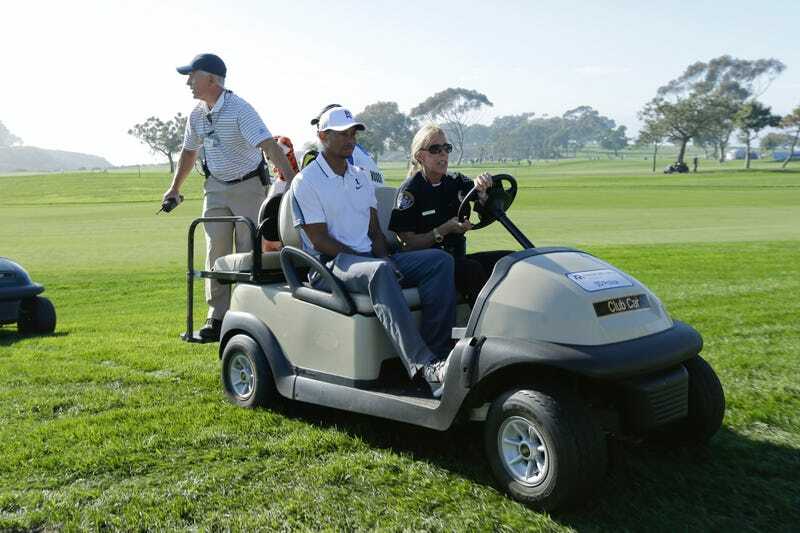 Tiger Woods withdrew from the Farmers Insurance Open with a back injury, and was carted off sadly. Tiger Woods withdrew from the Farmers Insurance Open with a back injury, and was carted off sadly. It's been a rough day.